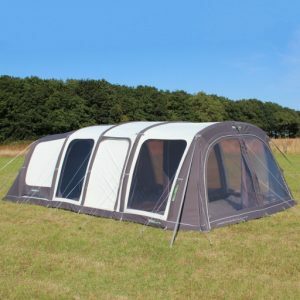 Back for 2018, the Vermont 7SA tent is perfect for families who enjoy a large, open spaced tent that has the flexibility required for those trips away. Back for 2018, the Vermont 7SA tent is perfect for families who enjoy a large, open spaced tent that has the flexibility required for those trips away. With the ability to sleep up to seven (2+3+2) in three Royal Master Bedrooms and it benefits from three zone system – wet room to store shoes/coats etc; dry room to relax and feel at home; the bedrooms that offer more internal headroom and floor space with wide views through the all-round windows. 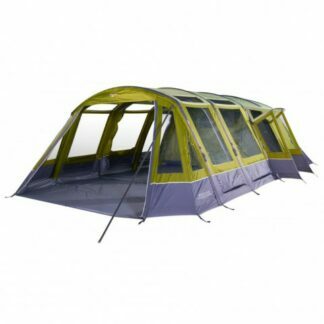 This tent includes the Outwell Advanced Air Tube System meaning it can inflate all from one point, no need to pump multiple single beams. 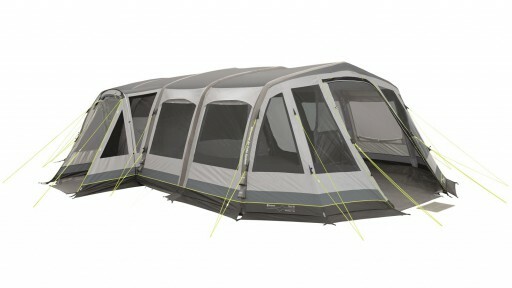 With it’s pre-angled, Gothic–style air tubes for superb stability and generous headroom. 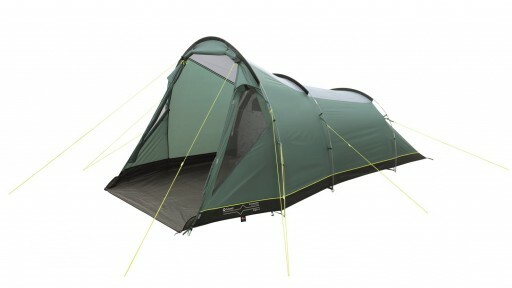 The Vermont 7SA tent also comes in two separate parts which means it easier to erect than having the tent in one single piece. 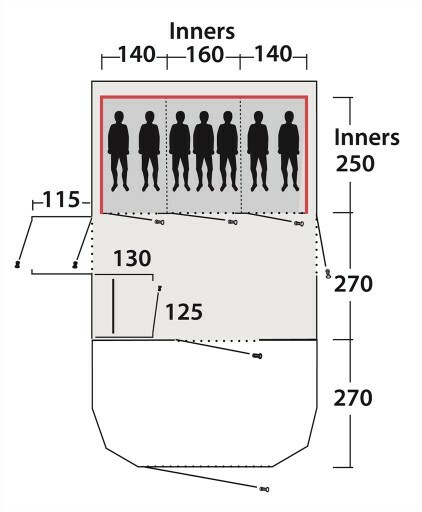 Pitching way: Flysheet first or with all bedroom connected.